Our Education Kits bring Museum resources to your classroom! Call and reserve your kit, we’ll make sure it’s available when you need it. Contact the Musée Héritage Museum at 780-459-1528 or museum@artsandheritage.ca. It’s been over a century since the beginning of World War I—an event that would rock the world and change it forever! 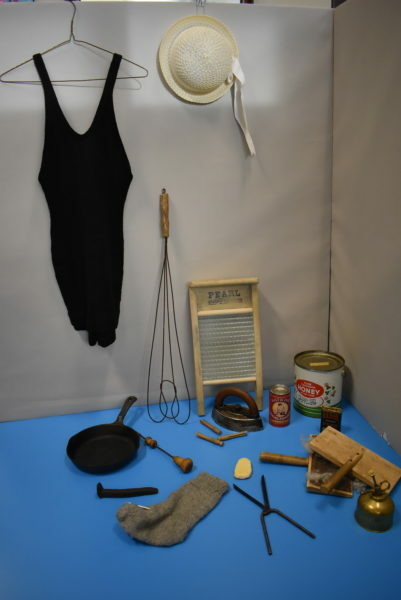 This kit contains objects and activities to assist teachers and students in investigating the world during the Great War years (1914–1918). We explore Canada’s role in the war through a variety of media including wartime posters, music, poetry, letters, and photographs. Hands-on activities include writing letters to soldiers serving in World War I, creating care packages for Canadian soldiers serving in the trenches (needs vs. wants), a uniform identification game, and regimental badge designing. This kit also includes colourful PowerPoint presentations (perfect for the Smart Board), World War I word searches, a pattern to make a paper Glengarry cap, and a list of additional resources about the Great War. There are chores that always need to be done, but the way we do them and the tools we use have changed over time. Explore the artifacts in this kit, and find out how the pioneers did their chores before electricity existed! 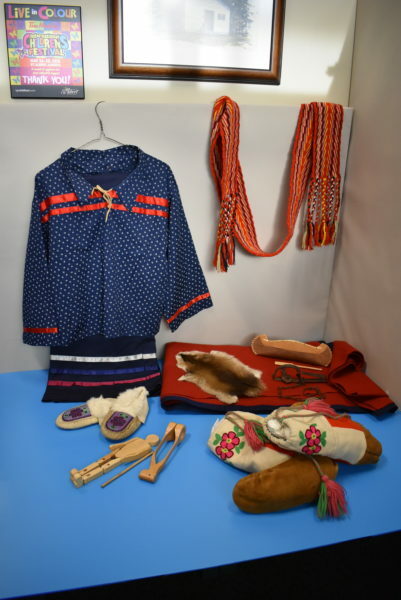 This kit includes objects, books, old-fashioned games and information regarding the social roles of boys and girls who lived in the pioneer days. Métis people played important roles in the development of Western Canada. As voyageurs, guides, interpreters, freemen, farmers and fur trade employees moved west, they helped establish and settle many communities. This kit contains objects and resource materials that can help introduce a new unit, provide an overview, or aid a lesson plan. Is it buffalo or bison? Help your students learn the history behind this question. Your class will have the opportunity to look closely at bones, fur, projectile points and other items included in the kit. They will also learn how and why the Aboriginal people depended on the buffalo for their livelihood.